Don’t worry Cleveland Cavaliers fans, your team is still primed for the playoffs this season. Not so fast Detroit Pistons followers, you may have to hold off a few more months before purchasing those 2016 postseason tickets. In the first night of regular season NBA action on Tuesday, a trio of teams got off to quick starts with wins over quality playoff teams from last spring. Meanwhile, three others with substantial expectations for this campaign dropped their openers and will look to get in the win column on their next try. NBA history has proven time and time again that quick starts or early-season struggles can be a sign of things to come, but for the most part, we won’t really know who the top seeds will be in the playoffs until well after the winter holidays. We’ve heard dozens of predictions for this season, looking at familiar faces labeled as NBA Finals favorites for seven months from now. There are also the popular dark horses and the squads whose only aspiration for the year may be securing a lottery pick in next June’s draft. The following three slides will be a comprehensive breakdown of each of the three Eastern Conference divisions, giving our best bets as to who the winners will be. The Western Conference analysis will come tomorrow. Without further ado, let’s start with the Atlantic division! 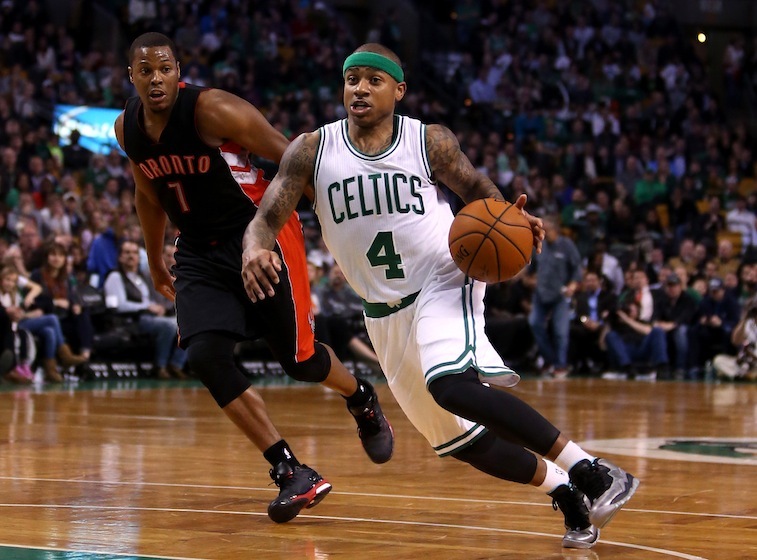 The young Boston Celtics are fortunate to be playing in the worst division in the conference. If they can keep just a little momentum from last season’s remarkable second-half surge into the playoffs, they should be able capture the Atlantic with relative ease. Led by third-year head coach Brad Stevens, the Cs employ a solid defensive starting five including the Marcus Smart/Avery Bradley back court combo, Jae Crowder as the small forward, and David Lee and Tyler Zeller as the big men. The bench should be a strength again this season, led by scoring machine Isaiah Thomas (who opened the year with 27 points against a surprisingly competent 76ers squad) and new acquisition Amir Johnson. The Toronto Raptors will go as far as their stellar guards, Kyle Lowry and Demar DeRozan, can take them. A year after winning the division at 49-33 and faltering in the first round of the playoffs, the team will look to improve upon a defense that ranked just 18th in points allowed per game and 26th in rebounds per game. They returned breakout center Jonas Valanciunas to the fold and picked up the underrated DeMarre Carroll in the off-season — both should help improve the D. The bench could be a sore spot, but as long as the starters stay relatively healthy, they could sneak into the postseason as a seven- or eight-seed. If they played in the Central or Southeast division, the New York Knicks would be a strong contender for last place. With professional scorer Carmelo Anthony back and healthy though, the Knicks should easily do better than their league-worst 91.9 points per game last year. Second-year head coach Derek Fisher should also be settled in with a season under his belt now, and we’ll see if he can handle the pressure of the Big Apple. If new starters Arron Afflalo, Robin Lopez, and Kristaps Porzingis — the latter the fourth overall pick from this year’s draft — can gel, New York should be able to avoid the division cellar. The Philadelphia 76ers will be better this season. Based on their 37-win total from the past two years, that’s not saying much, but the potential is certainly there. Their rim protection and inside scoring should be terrific with Nerlens Noel and Jahlil Okafor, respectively, leading the charge. What will hurt the team though is their inexperience and depth, as they sport tons of young, unproven players on this roster. While the rest of this division seems to be youthful and intriguing, the Brooklyn Nets are the exact opposite. They are filled with guys slowly creeping past the primes of their careers, clearly projected to be on the downswing. If Brook Lopez can stay healthy, if Joe Johnson can find the fountain of youth, if Thaddeus Young can play like he did in Philadelphia, and if the team can find a starting point guard, they could contend. That’s a whole lot of ifs. The Central Division could very well be the best in basketball this season, but the prohibitive favorites are obviously the Cleveland Cavaliers. There’s not much to say here. LeBron James, Kyrie Irving, and Kevin Love are the big three that everybody else wishes they had. The city of Cleveland is hungry for a championship. After last year’s playoff berth and pushing the Chicago Bulls to the brink in their series, lots of people are looking out for the Milwaukee Bucks. Count us in. We not only see the Bucks making the playoff again, but finishing barely ahead of the Bulls in the division. The size and athleticism in this starting five is one that is already great and could be scary good in the next couple of years. 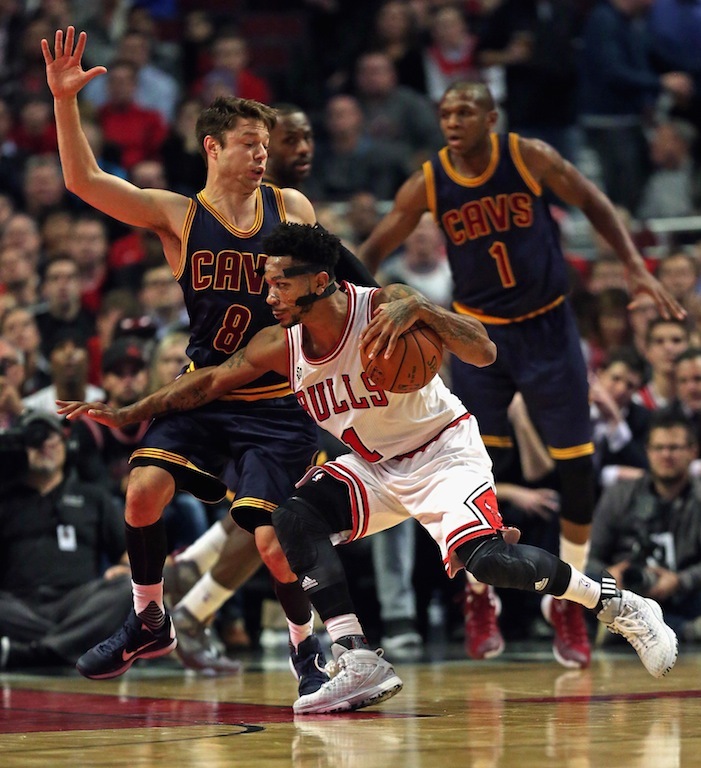 This may be the last good chance for the Bulls to make a run at the finals. With Derrick Rose seemingly getting more injury prone by the year and Pau Gasol only getting older, the time is now for Chicago. With that being said, the talent and matchups are there to challenge the Cavs in a playoff series if given the chance. Despite pinning them for a third place finish, we envision the Bulls very comfortably making the postseason as a top-six seed. The Indiana Pacers success in 2015-16 will fall primarily on one man’s shoulders: Paul George. If you forgot about how great George is, then get ready for PG13 to make his return from injury known immediately. If George is just half the player he was before the catastrophic leg scare during the summer of 2014, he’ll be the best player on the team. If he gets back to full-strength, he’s a top-10 player in the league again and — with this supporting cast — can lead the Pacers back to the playoffs. As they will have to play so many games against these four divisional opponents, we don’t see the Pistons having quite enough to make it into the tournament next spring. Similar to how the Atlantic teams are fortunate to play in a poor group, Detroit is stuck in a gauntlet. Like Milwaukee, the Pistons have great size and rebounding, which will keep games low-scoring. Without a true superstar like Cleveland, Chicago, and Indiana have, it’ll be a last-place finish, probably near .500. After losing James in the 2014 off-season, some regression was expected to take place in South Beach. What transpired though — the first playoff-less turnout in seven years — was a bit of a surprise even to the die-hard fans. With Luol Deng entering his second season as James’ replacement and Chris Bosh coming back healthy, the Heat arguably have the best starting rotation in the conference. Goran Dragic was superb after being acquired mid-season and Hassan Whiteside’s ascension was one of the biggest surprises in the league. 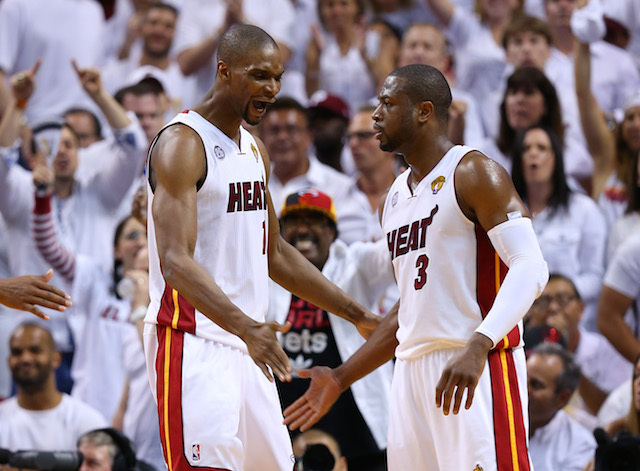 That, coupled with franchise-star Dwyane Wade, have Miami fans dreaming big heading into the season. Yes, the loss of Paul Pierce hurts, but if John Wall continues at the pace he’s improving, the Washington Wizards are clearly the second best team in the Southeast. The huge down-low duo of Marcin Gortat and Nene Hilario (when healthy) is a force to be reckoned with, and Bradley Beal’s shooting touch is a nice complement to Wall’s pass-first mindset. The Wizards may take a small step back from last year, but should easily make the playoffs again. Perhaps the biggest surprise of these predictions is seeing the Orlando Magic finishing in third place. They’re another very young roster and are coming off of a tough 2014-15 season, but the balance and talent is there. The bench may be a bit weak, but it’s hard to top the potential of Elfrid Payton, Victor Oladipo, Tobias Harris, Aaron Gordon and double-double machine Nikola Vucevic as a starting group. Significant disappointment may be in store for the bottom-feeders in the Southeast, giving the Magic a good shot at snagging third and just missing the playoffs. One of the biggest underachieving teams in the NBA last year was the Charlotte Hornets. The poster-boy for the horrific campaign, Lance Stephenson, and his poor play gave way to the organization letting him flee to L.A. This year it’s going to be about if Kemba Walker can play more than his 62 contests from last season and if the Nicolas Batum-acquire is as successful as Hornets fans hope. Starting bigs Al Jefferson and Cody Zeller — with veteran Spencer Hawes and draft pick Frank Kaminsky coming off the bench — could lead to lots of interior scoring, but we don’t see the Hornets making a return to the playoffs in 2016. Not enough people are talking about the impact that losing DeMarre Carroll will have on the Atlanta Hawks. The defensive pest’s absence will be felt, and the opening night loss to the Pistons could be a sign of things to come. They finished fifth in the league a year ago in points per game allowed, but surrendering 106 points to Detroit on Tuesday is not a great start. Sure, they’ll be able to score, but you can’t win if you don’t stop the other team’s offense. Look for the 60-win Hawks to drop off considerably this season. All data (current as of October 29) courtesy of NBA.com, Basketball-Reference.com, and ESPN.com.